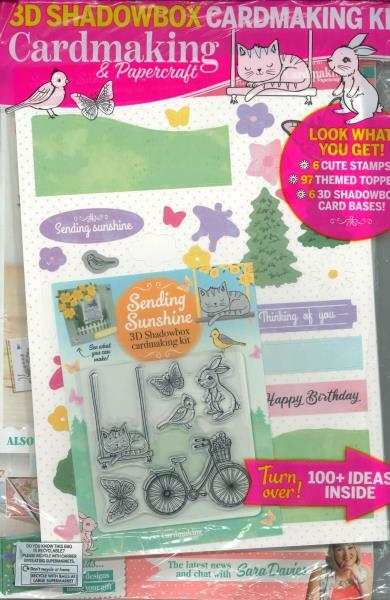 Cardmaking & Papercraft is packed full of essential advice, step-by-step guides and inspiration from top designers, Cardmaking and Papercraft is the ideal companion for the papercraft enthusiast.Buy a single copy or subscription to Cardmaking & Papercraft magazine. Whether you’re looking to add a personal touch to your Christmas cards or create a unique wedding card, it will help you in your mission. In addition, you will find ideas for giftboxes, rosettes and lots more beautiful papercraft projects. You will be able to draw on the know-how of many talented artists and share your creations with fellow readers via the letters page, where you can also comment on their work.